When it comes to bathtub reglazing, I only trust one company. I’ve been let down by others, but never by Artistic Refinishing! Most Boynton Beach homeowners have had a moment where they look around their house, and they just aren’t satisfied anymore. Everything looks like last season’s colors, or the inevitable wear and tear of Florida’s humidity has started to become more apparent. Completely renovating a home is expensive and often unnecessary. If you aren’t satisfied with the way your bathroom looks anymore, consider investing in bathtub refinishing or reglazing in Boynton Beach and neighboring towns like Gulf Stream. Artistic Refinishing will help you find the right look for your bathroom. To completely renovate a home involves removing fixtures and surfaces, repairing subfloors and studs that are damaged during removal, and often leaves a bathroom out of commission for several days. It often involves coordinating several different contractors, which can make the project drag on for even longer. And in the end, you still may not be satisfied with your new bathroom. Bathtub reglazing takes a different approach for Boynton Beach residents. 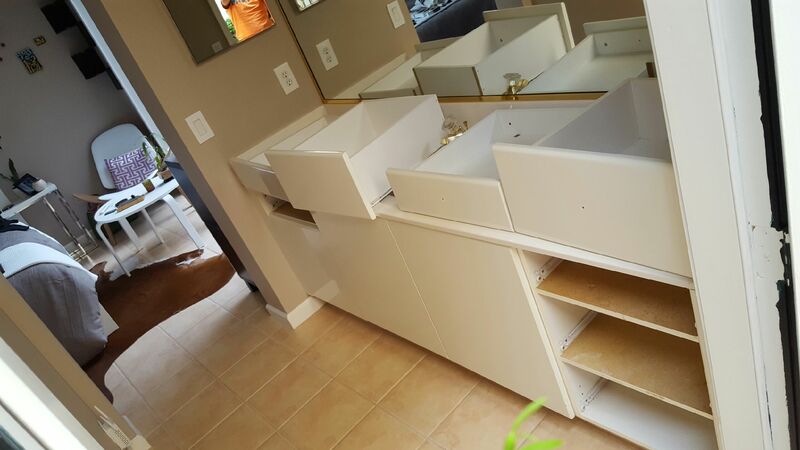 Instead of removing old fixtures and replacing them with new ones, we apply a special finish that both changes the color and look of your bathtub, shower stall, surfaces, and cabinets. This also creates a durable, nonporous surface that won’t show minor bumps and dings. It also takes about a day to apply and cure. That means that we can come in at breakfast and have your bathroom ready to be used and appreciated by dinner. That nonporous surface is also key in Florida’s humid climate. South Florida generally has a tropical rain climate, with hot, humid summers, and warm winters. If your home isn’t humidity controlled – and sometimes, even when it is – it’s easy for your bathroom to receive unsavory stains. If the home has been empty for a period of time, this can be even more dramatic. Even if you scrub the surface clean, you may still see stains. With a nonporous surface, unsavory elements of nature cannot start to grow. This means that your surfaces will be easier to clean over time, and hold up better against the weather in the region. 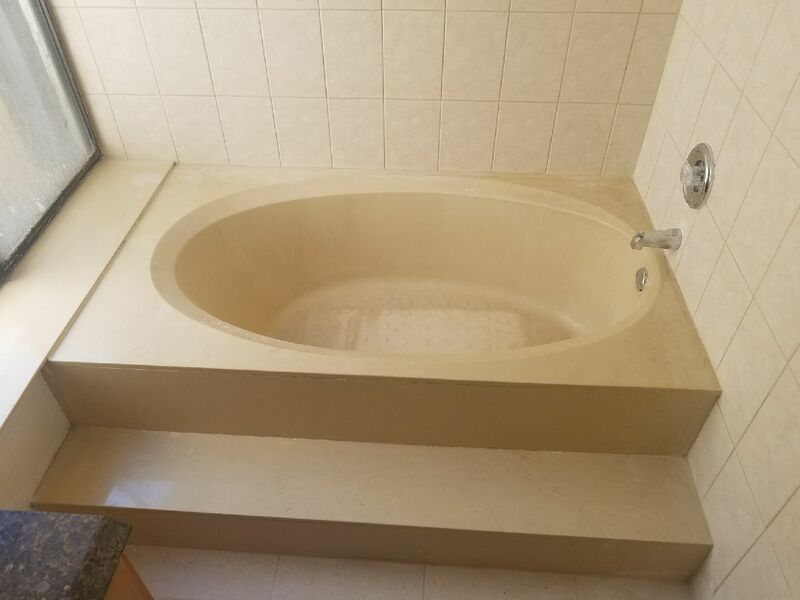 At Artistic Refinishing, we have more than 30 years of experience in bathtub refinishing and other bathroom surfaces to be durable and beautiful for years to come. If you’re ready to change the look of your bathroom in just a few hours, try bathtub reglazing in Boynton Beach with Artistic Refinishes. We will be happy to provide you with a free estimate of the cost of your project. 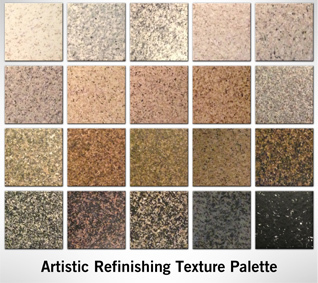 We’ll talk with you about the different finishes available to create many different colors and looks. We will also answer any questions you have about the process. Residents of Boynton Beach and neighboring towns, such as Gulf Stream should contact Artistic Refinishing today to get started, and make your bathroom beautiful again.